I have purchased clubs from you in the past and have been very satisfied with your service and the products. 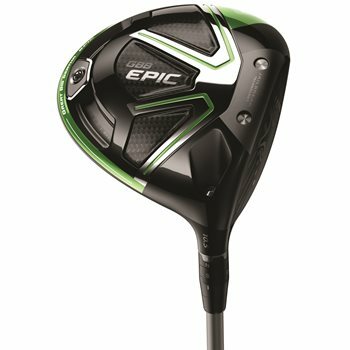 I am interested in a Callaway Epic (not the sub-zeo, the adjustable one). 9 or 10.5 degrees, shart 1 or 1 1/2 inches longer. I currently use a stiff shaft, but am 69 and toward the end of my stiff shaft days. Swing speed is abouit 95. Do you have any pictures of the club? Unfortunately, due to the size of our inventory and multiple shipping locations, we are unable to provide actual pictures. Please refer to the condition rating for information as to what the club will look like.